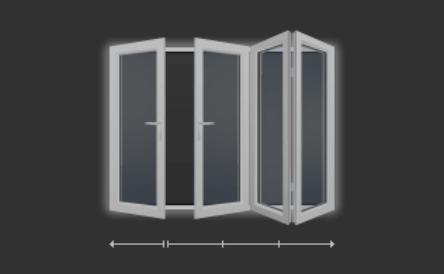 Folding sliding doors can accommodate all tastes, applications and building requirements. 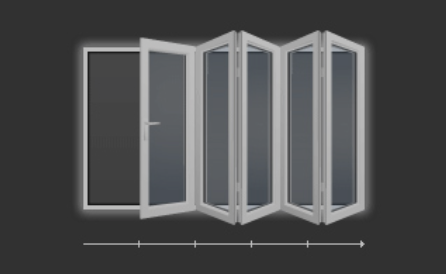 There are over 50+ opening styles, including: outward opening, stacking to the left, stacking to the right and stacking both ways. 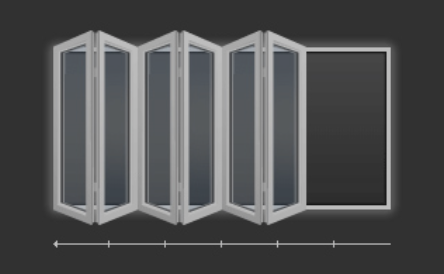 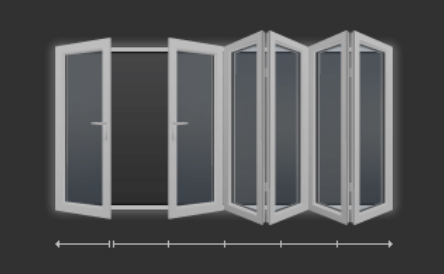 Opening configurations ranging from 1 panel one way to 9 panels both ways. 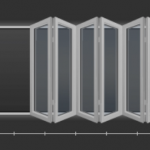 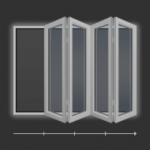 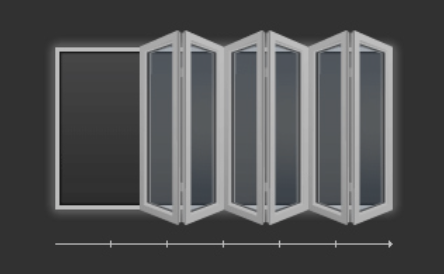 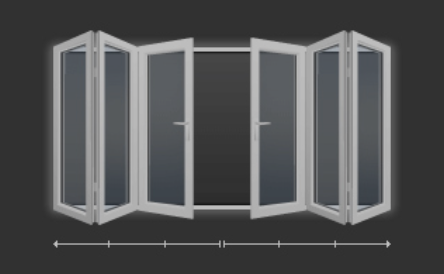 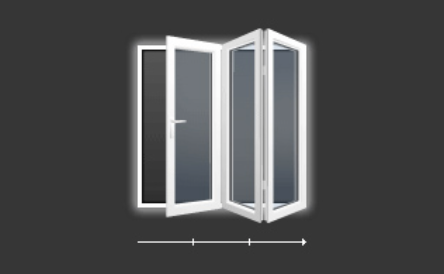 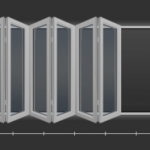 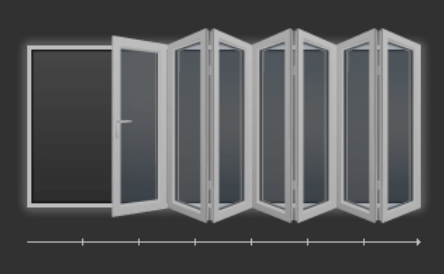 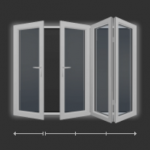 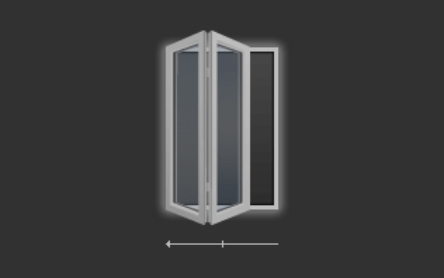 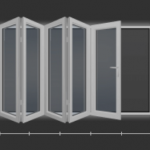 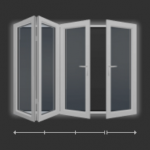 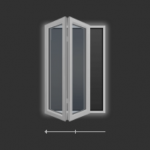 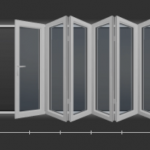 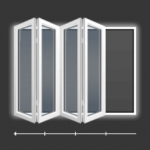 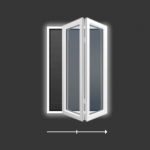 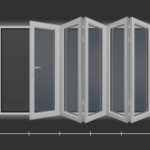 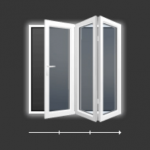 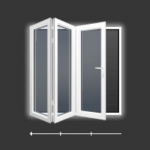 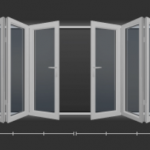 An active door is an every day access door that can be used independently without having to open the entire door set and acts like a traditional door. 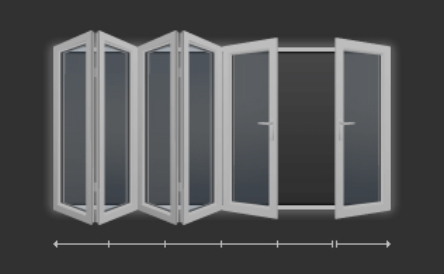 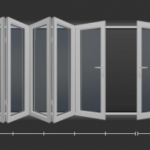 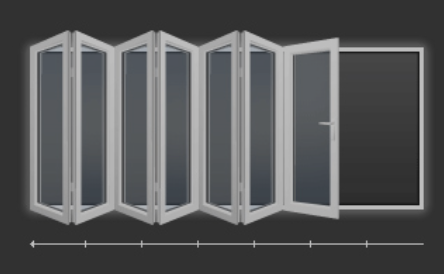 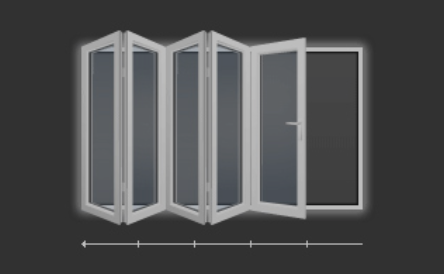 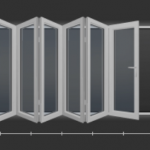 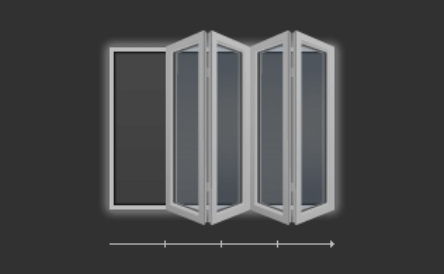 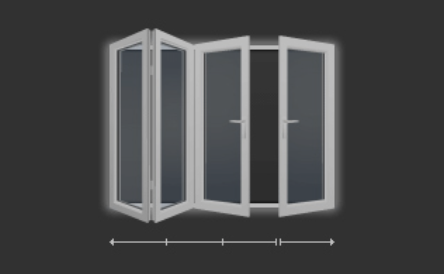 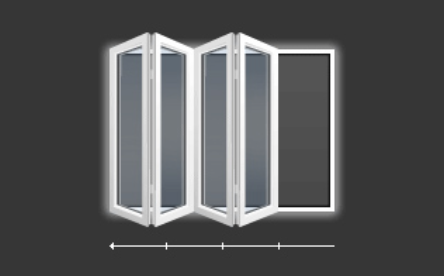 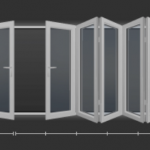 Bi-fold doors fold in pairs. 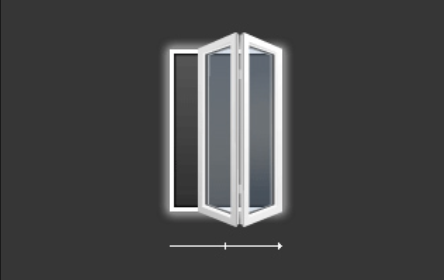 An uneven number of panels will result in an extra panel that can be used as a traffic door. 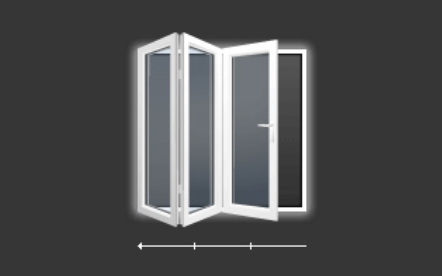 A 3-panel configuration has an access door for example opens to the left or right.